Thumbs Up to the electric car stations!!! Lets talk green!! Why go the route of oil refinery when we can model ourselves after the Brazilians and go sugar cane refinery!!!! Brazil is the second largest producer of sugar cane ethanol. A practice that came about 30 years ago after the fuel embargo in the 70's. They refused to be put in that position again and began an alternate fuel program. There is/was already a bio-diesel facility on island ( not sure if he's still in business) why not go ethanol too? Jamaica exported 75 million US gallons of ethanol to the US in 2007!! Government could get revenue from the export of fuel as opposed to the import!! Enviornmentally its got to be better than the oil refinery pollution documented world wide!! Come on Cayman the world is looking to the future of fuel not the past!!! Ethanol plants require large quantities of anhydrous  ammonia,sulfuric acid, sodium hydroxide, are prone to corrosion and explosions. Without a regulated thermal oxidizer, the stacks emit vaporized chemicals and odor to the surrounding community, this becomes more noticable as plants age and filters clog. And then there is the whole environmental and human cost of using food for fuel while people go starving...we don't want this stuff here. Keep pressing on John, this is a great idea whose time is (long since) ripe! I'm proud of you for the contribution you are making to the island, and for the perseverance you show. Well done! Electric cars and electric filling stations are not a nice as you all think. You think no-emissions = good and that part, and only that part, is correct. The manufacturing of batteries is probably one of the most polluting procedures on this planet and the disposal of those batteries is extremely difficult as the depleted contents are highly toxic and with exotic batteries comes exotic toxins to handle after use. Sure it all looks good from the outset but ask your electric car suppler how much it will cost to remove, dispose correctly and replace those dead batteries. Hybrid cars however insinuate that the batteries will last the lifetime of the vehicle, great but then the batteries have to go back to either the manufacturer or a licensed disposal agent and guess who has to pay for that. It has been stated that the dust to dust cost of a hybrid or electric car is about the same as a Hummer or Escalade. If you want to be green then you have to look at the whole picture and not just one slice, pollution is pollution and if you really want to cut back on your carbon footprint then demand bicycle lanes and cycle to work. Low cost, zero emissions, long product life and nearly completely recyclable. You may need a shower once you get to work but wouldn’t that be a small inconvenience compared to polluting the next landfill site. 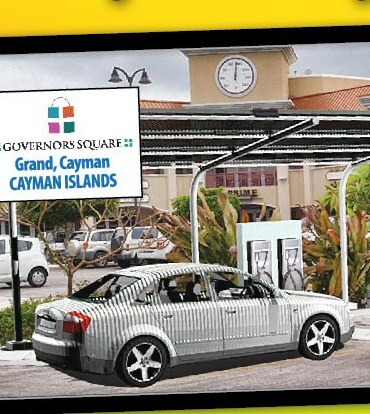 Why is it taking so long for Cayman to approve the use of electric cars? Who is opposing this and why? As a retired engineer, I cannot see any reason whatsoever for dragging our feet on this issue. Electric cars polute less, require less maintenance, use energy more efficiently than internal combustion engines, and are easier to control. Apparently, electric cars that have less than 4 wheels have always been legal in Cayman. However, they are all less stable on the road than ones with four wheels. Which Caymanian Commission is studying this issue and trying to make up its mind? Has it published anything on its procedures, discussions, and results? What are the issues, if any, that are preventing it from making a decision? What do they do at their meetings? How can it possibly take so much time? Someone in authority, please find out. Cayman will never go green! Why? well because of all the taxes Goernement levies on fuel on the island. If everyone was to use electric cars, they are basically still using a fossil fuel – the diesel burnt to create the electricity, so electric cars still lave a carbon footprint but sound nice. Look at Jim Knapp, builds a state of the art home that is 100% green with a hydrocell battery to store access. He and others that have tried to go green have hit a brick wall in the NEP – National Energy Policy – made up of 15 uneducated members who's mission is to make sure there is enough red tape to stop anyone from stealing revenue from the government… sad but true. Think about it, a solar farm or wind farm could easily take the place of fossil fuels but it will never happen. People need to come together on this a fight this monopoly!! Do what is right for the environment and the people of Cayman. Finally some positive news and I'm so glad that Mr. Felder has gotten this done after so many years of struggles. Cayman has to move forward in the right direction and get solar and wind farms developed. John Felder, Bo Miller and Dave Phipps from Electra Tech have tried to educate Caymanians in using alternative energy sources which not only saves money but also our planet. Some of the newest technologies coming out(…using graphene, a form of carbon…) will allow for your laptop to be recharged in seconds, your car battery in minutes… and of course the collecting of solar into batteries is there as long as the sun is out. Gas still requires fracking(..see the documentary -you'll see why we never want to go that route) and oil requires drilling or processing of shale, Solar just requires free radiation…once the infrastructure is there, Gas and Oil will be our plan B's to Solar. Solar energy is a step in the right direction. An oil refinery in Cayman is a giant leap in the wrong direction. Cayman needs more attractive net metering incentives, duty amnesties, and subsidies to become a green utopia. Without those, consumer break even on solar or wind equipment is pushed back >6-10 years, assuming nothing breaks, corrodes, and/or catches on fire. Production of the ZENN was discontinued in early 2010. These vehicles have not been available for a year and a half. Yet you say they were recently introduced?? EV stations take about 4 hours to charge batteries. Which is not all that convenient. Agreed that its not going to be a trip to the gas station convenient, but a lot of people, myself included drive to work and park up all day. It would have to be in the right place but I wouldn't mind free transport…at least the 'gas' part. Remember, the idea isn't that you fill your tank for free, its to make their shopping plaza, etc., more enticing to renters. Put your bank here and people with electric cars are more likely to use this branch than one at another building. And maybe stop in at the liquor store. And have lunch, or at least a cup of coffee and a sandwhich. And maybe stop in at the 'grocery' store to pick up something. When all you set out to do that Saturday morning was go to the bank to drop off the cheque for the loan for your electirc car. What exactly is it that keeps our legislative assembly from assembling and legislating? How hard can it be to draft and pass a law that nobody opposes? They've given themselves and extension until September and we already know they'll miss that.